Set sail on a Dream! Whether your voyage calls on ports in Europe, Alaska, Caribbean, Canada or the Bahamas, a Disney Cruise is filled with Magic, Wonder and Fantasy. You will be dazzled with Disney’s exceptional Service, Entertainment, Dining and Accommodations. Cast off for an ocean filled with cherished memories! Small World Vacations agents are real people with expert Disney knowledge who can help you plan a Magical Disney Vacation. We are dedicated to your Dreams and your Dollars ® Have questions? Your Small World Vacations agent will email you a price quote along with their direct phone number. They always speak with you before you pay your deposit. Your Authorized Disney Vacation Planner is here to help you throughout the process. We love what we do and it shows! There is no charge for our Magical services. If you are interested in transferring a Disney Cruise valued at $1000 or more to Small World Vacations, please click here to contact us. 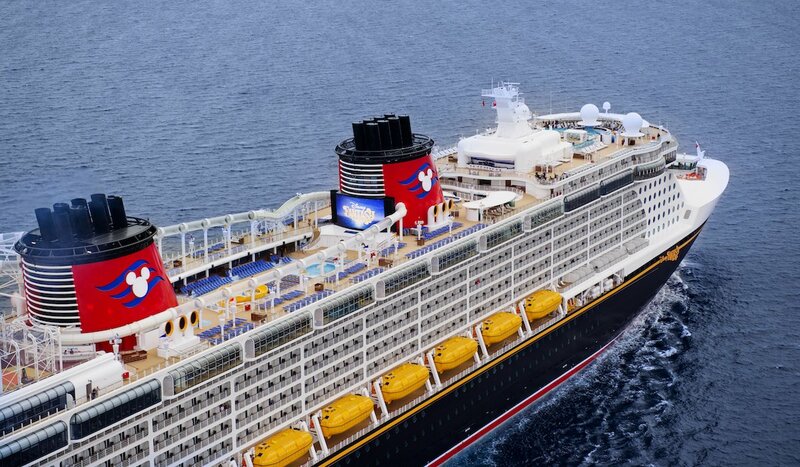 Transferred Disney Cruises are eligible for HALF of our regular onboard credit offer. Please note, your reservation must have been booked less than 28 days ago and cannot include airfare or be paid in full.